A UK based finance specialist offering the best van leasing and contract hire deals in the UK. Van4Leasing is the sister site to Car4Leasing which currently offer the best car leasing specials to clients in the UK. At Van4Leasing we offer some of the best leasing contracts to our existing and new customers commercial customers, combined with the highest customer service levels. If you are looking to lease a van please look through our site for our best van leasing special offers. You may not be aware but the terms contract hire vans and lease vans refer to the same product. Over time the industry has started to move away from the old Contract Hire official name of the finance contract to the less formal and slightly nicer Leasing terminology. Needless to say whichever way you look at it we at Van4Leasing will offer some of the most competitive van lease deals on the market and we work tirelessly to ensure that our back end service is as good as or van lease deals. Contract Hire, also known as leasing is an ideal option for your next commercial vehicle. Whether you have a fleet of 1 van or 500 vans, leasing offers bespoke benefits to assist you in running your business. If you lease a van instead of buying, you will not have to tie your money up in a vehicle, will be able to claim the v.a.t back, and at contract end can replace you leased van with another brand new shiny one without having to dispose of the existing vehicle, which we take care of for you. 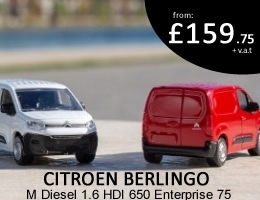 Rather than list all of the commercial vehicles available we have added a broad selection of models available on the site, highlighting the top van leasing special offers from each individual manufacturer. We can offer bespoke contracts and can run individual quotes to meet your specific requirements. 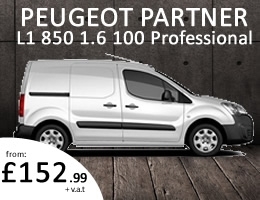 The van leasing deals available change on a monthly, weekly and sometimes daily basis. We are with you form order, delivery, whilst on contract through to organising your next vehicle or simply arranging the collection of your next lease van. We can offer you as broad a service as you require and can even cater for 3-6 months short term van leasing contracts when the need arises. We hope to assist you in any way possible with all your van leasing deals to give you more time to run your business successfully. We work hard trying to get the best van leasing deals for you. We negotiate with both manufacturer and finance company to ensure that we can offer you the best deals in the marketplace. We have a tried and tested preferred dealer network supplying ensuring we not only offer the best price, but also a great service as well. We are always looking for the best deals and will continue to do so to ensure you pay the right amount for your next commercial vehicle. We supply all types of commercial vehicle, so whether you need a small car derived van, a long wheel base jumbo Transit, or simply want the comfort and practicality of a Pick Up Truck, get in touch and we will be happy to assist. Commercial vehicles are the key to the success of nearly every business and we hope to be able to assist you with your vehicle needs.